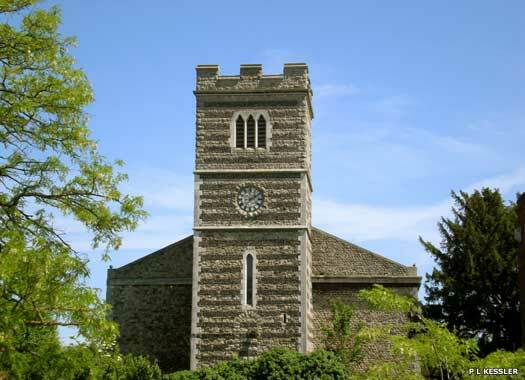 The Parish Church of St Nicholas of Myra, Strood is on the northern side of the High Street, immediately east of the Gun Lane junction. In 1193 Strood, on the western bank of the River Medway, became a parish in its own right. There must have been a church here before that date, as it was known to serve as a chapel of ease for All Saints Frindsbury. It was run by the monks of Newark Hospital, and had its own burial grounds. By 1552 there were four bells in the tower. The old church was spacious, with a nave, two isles, a great chancel, and a tower steeple at the west end, but in 1818 this and the uppermost tier of the tower were entirely rebuilt. In 1846-1850 parts of the church clock were stolen and a replacement purchased. In 1898 the tower was gutted by fire, destroying the three surviving bells. These were replaced by ten tubular bells. Also on the High Street was Zoar Chapel, opened in 1796. No trace could be found of it in 2010. Strood Gospel Mission Church stands on the northern corner of the junction between Wykeham Street and Martin Road. The mission existed by 1906, and its Church Band was present when Lady Sharp of Maidstone reopened Borstal Institute as Borstal Gospel Mission Church on 19 October 1929 (by 2009 this was Borstal Baptist Church). In 2010 some much-needed repairs were carried out on the church, including the replacement of the floor, which had woodworm. 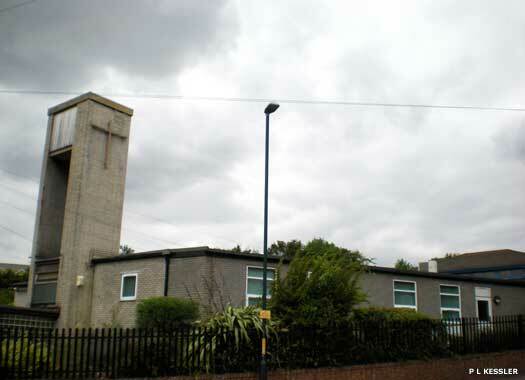 The Catholic Church of the English Martyrs Strood occupies a large plot of land on the north-west corner of Frindsbury Road and Mill Road. 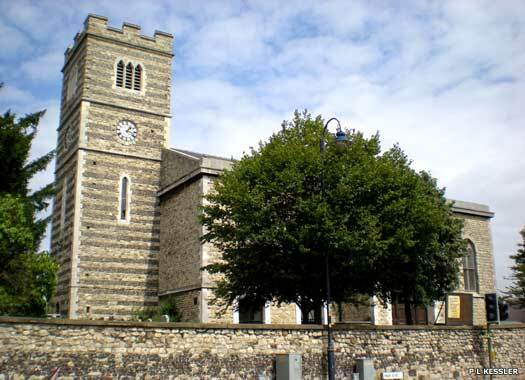 Strood's church, like that of Chatham, sprang from a little mission at Old Brompton (Gillingham), where a small Catholic chapel was built in 1798. Until 1863, when St Michael's Chatham, was built, this was the only Catholic chapel in the Medway area. Nuns from St Chretienne in France soon arrived to found a convent in Mill Road, Frindsbury. In 1910 land was purchased for a future church in Hillside Avenue. By 1919 the question of building the church began to take definite shape. This was bought to a head by the return to France of the St Chretienne nuns and Strood was threatened with the loss of its mass centre. The small Hillside Avenue site was sold and the church was completed in 1922 on a new site. 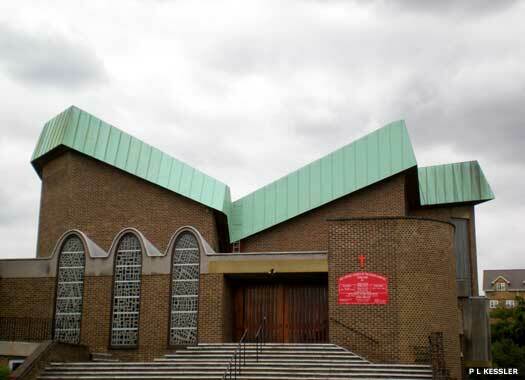 In November 1962 the old church was demolished and the present church erected, opening in 1964. 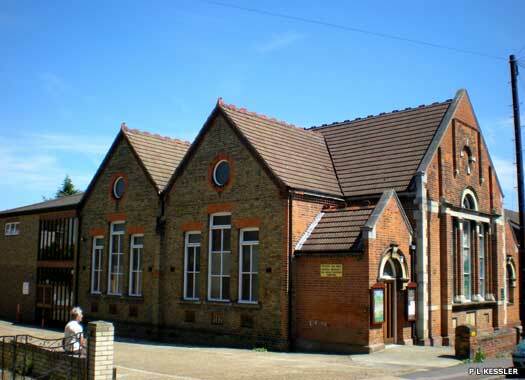 Peninsula Methodist Church is on the eastern side of Cliffe Road (formerly Stonehorse Lane until 1892-1894), midway between Cecil Avenue and Frindsbury Road. 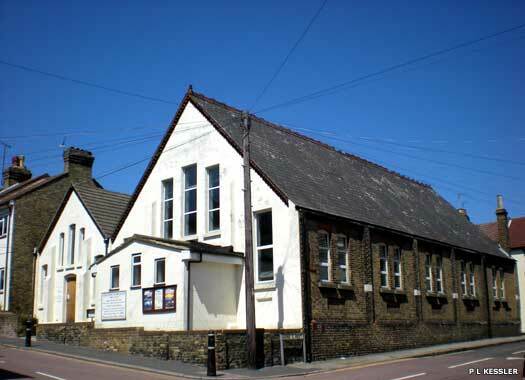 It was opened in 1887 as the Wesleyan Methodist Jubilee Church Stonehorse Lane, but was sometimes also referred to as Strood Methodist Church. It lost its burial ground during a local improvements scheme of about 1905. The building was lent as an auxiliary hospital during the First World War.